The water level at Gandasingh Headworks is constantly mounting up as India has spilled more water into River Satluj. 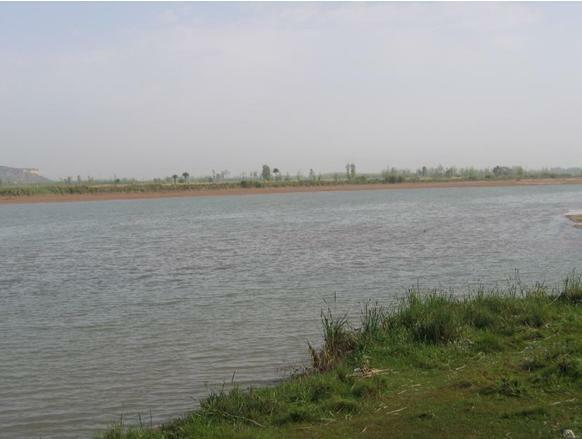 According to the data collected by the Flood Forecasting Division, the current water flow at Gandasingh Headworks is 60,000 cusecs and a low level flood exists in the River Satluj. Furthermore, it is expected that the water level will rise further to 80,000 cusecs till the evening. Owing to the flood in River Satluj, it is feared that the lower areas of Kasur, Okara, Pakpatan, Vihari and Bahawalnagar will be inundated. Last week dozens of villages were flooded and ready crops on hundreds of hectares of land destroyed as India spilled water in River Satluj. Water lavel may increse and infect the lower areas that are near 2 river satlujh.so peoples belongs 2 near river areas make their mind 2 face the situation that may occur. Its very bad for human beings we should be face together.. There is no government officials or MNA MPA concerned to even assess loss of farmers in recent flood of satluj. Rs.20000 has been spent on each acre of crop damaged in the flood. Compensations to the farmers is not being visioned behind politicians occupations. If Punjab government will ignore the calamity being faced by the farmers, there would be none to grow grain for others Pakistanies. Sir Please any one tell me the real condition of river sutlej at sulemanki headworks.Please tell me what is the real condition of river sutlej at sulemanki and gunda singh wala , because i am living near sutlej river Bahawalnagar.